A cute, simple project that will gleam in the sun! 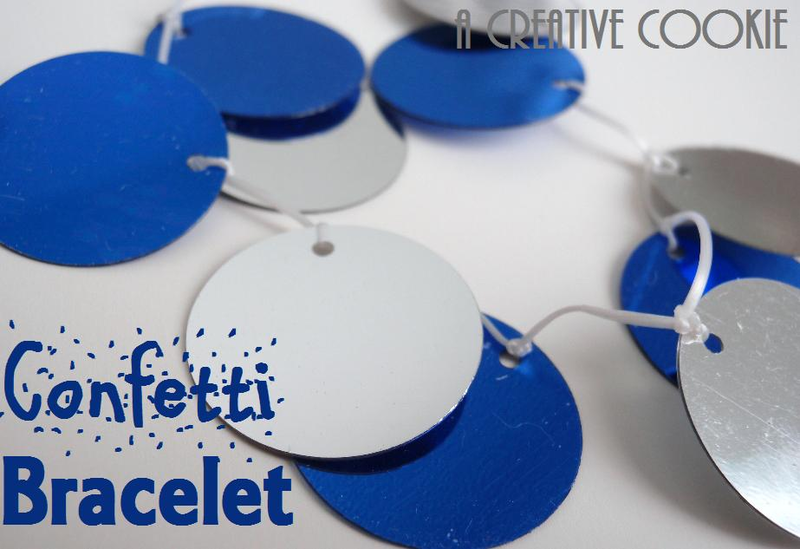 Continue tying on confetti until you have a string of it. Now tie off the ends and add a dot of glue to the knot! Now go try one yourself!! !